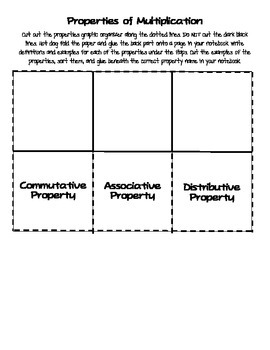 This is a graphic organizer I use with my third graders when teaching the various multiplication properties. 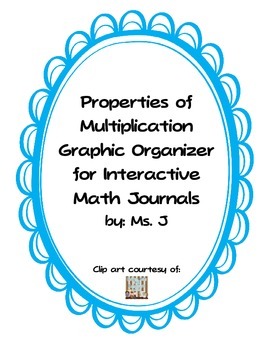 They cut it out, glue inside of their math journals, and write definitions of each property. After learning about each property they then cut out the examples and sort them underneath the correct property. 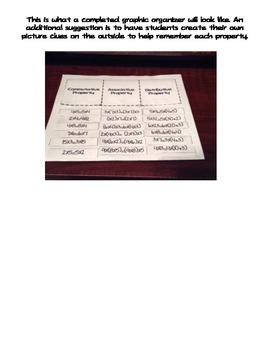 Having this in their journals provides them with a tool to look back at for help at anytime. This graphic organizer meets the Georgia Common Core Standard of MCC3.OA.5 and the Common Core Standard of 3.NBT.A.3.